Choose a Yoga Anytime video in the Chrome browser and begin playing. Near the top right corner of your browser, click open the Menu icon. 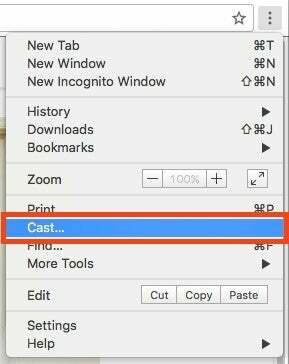 Select "Cast". Under "Cast to," select your Chromecast from the device list.